The Boy in the Striped Pajamas is a story about Bruno, a nine year old boy who lives in Berlin in 1944. He does not know about the changes that are about to come. All he knows is that his family is being uprooted from their comfortable home and moved to a place in the middle of nowhere where there is nobody to play with, intimidating soldiers, and mysterious buildings in the forest. He meets another boy who lives in those buildings and wears the striped pajamas. They meet and talk each day on opposite sides of their fences. This book is very good for kids around 10-11 years old, as Bruno's naive childishness realistically leaves out the harsh facts of WWII. This is good for kids who aren't ready for Eva's Story. Bruno is friendly towards Shmuel, the boy in the striped pajamas and vice versa, so it is very powerful, that despite their circumstances, friendship overcomes the odds. This is very much a favorite of mine. The sense of dread and hope for the characters will take your breathe away. 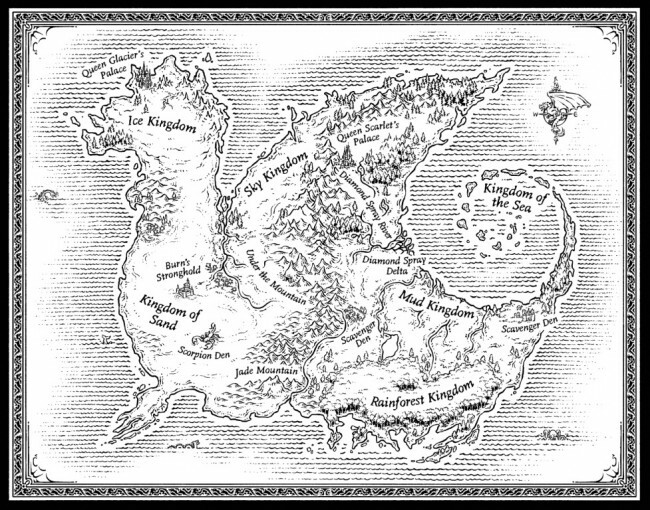 Wings of Fire: The Dragonet Prophecy is an enthralling fantasy. The idea of having multiple dragon types is very smart and only adds to the book. I liked this book because it was not only well written, but was a story that incorporated a riveting plot. I also liked this story because it incorporated specialized dragons. For example, MudWings can breathe fire. I also enjoyed the very well described battles. I would recommend this for casual readers and serious readers. This is because it is both an easy reading format and can have a deeper meaning if you really understand it. The book Wings of Fire: The Hidden Kingdom is the tragedy of this series. Some of the RainWings got kidnapped to be used for testing purposes. I think that this was still a great book, because of how all of the personalities helped shape the plot. For example, Glory doesn't like people who take a job with a lot of responsibility and they ignore that responsibility. I would suggest that you read the whole series in order. Wings of Fire: The Dark Secret is a great book. It shows that both people and dragons will do anything when it comes to their well being. I liked this book because it shows that if you are a jerk, your bad behavior will harm you in the end. This book also shows how some people don't know that what they are doing is cruel, because they have never been introduced to the real world. Last but not least, I liked this book because it shows that you shouldn't try to obtain things by force. Instead, try to make a compromise. Sutherland (is that her real name?) uses a number of pseudonymns. These include Heather Williams, Rob Kidd, and Tamara Summers. She shares "Eva Gray" with a number of other authors. The book Carrie is about a girl who is bullied and develops psychokinetic powers due to the bullying she faces. However, she gets one chance to go to the prom with the most handsome boy in school. A cruel prank is played on her and she goes into a murderous rampage. This book is very interesting and is genuinely scary; it is a Stephen King book after all. Some scenes may be disturbing but overall this book is interesting and enthralling. Tom Sawyer is a very adventurous and funny book at the same time. It is a classic book, but it is still interesting to today's readers. Tom starts out as a troublesome boy. He comes late to classes and tricks people into doing his chores for him. He went to a graveyard to cast a spell that will cure warts, he got stuck in a cave with his crush named Becky Thatcher, and he followed a criminal mastermind to steal a treasure with his best friend Huckleberry Finn. At the end Tom and Huck got the treasure and split it in half and were rich. I learned that money changes people's identity. At the end Huck did not get used to his new life, so he gave up his share of money to Tom and then Tom started treating Huck badly. The ending is a bit sad. Librarians Note: Want to read it online with the 1884 illustrations? Are you bored, uninspired, or just in need of a friend? If you answered yes to any of these questions, then Aviary Wonders Inc. Is the book for you. Aviary Wonders Inc. is a colorful and fantastical story brought to life by the illuminating illustrations of Kate Samworth. Structured as an instruction manual and catalog for hand-made exotic birds, this picture book lets you create your own bird from a variety of options. With choices of body, beak, tail, legs, wings, collar, crest, and wattle and comb, this bird is truly your own. I suggest this book for readers ten and up, though it can be enjoyed on different levels for all ages. Have a great time reading, and just remember that all parts must be securely attached before you let your bird take flight! Librarian's Note: Kate Samworth is a Takoma Park artist and author. She won a 2014 Kirkus prize for Aviary Wonders. In most books, the poor, but incredibly kind main character goes from rags to riches. In this case, Esperanza goes from riches to rags as a tragedy hits her family in Mexico and she is forced to flee to America. She must mature quickly and change almost everything about her, as she is expected to take on jobs and housework. Esperanza Rising was a pretty good book. It had a fairy tale style to it which, of course, ended in a lesson and a happily ever after. This book was based on a true story and the plot and characters were all very realistic. However, I didn't really like the character, Esperanza, and how she was portrayed because despite her growth, she had a lot of childish qualities that sometimes disrupted the flow of the book. Generally, this is not something that I would read again but it was worth reading once. It would make a great discussion book for school or book reports. Librarian's Note: We also have both the CD version and the Spanish edition, Esperanza Renace. Ungifted by Gordon Korman is one of the most intriguing books I've read. Publishers Weekly calls it "Funny and insightful"
It includes a change of point of view alternating between characters. Ungifted is about a troublemaker named Donovan Curtis who, because of a mix-up, crash-lands in The Academy of Scholastic Distinction, a school for geniuses. He hides out from the administrator, Dr. Schultz, hoping that no one will find out his big secret. He'll need to prove himself gifted, and avoid getting kicked out of the school, or he'll undoubtedly face big consequences. Donovan must work through the gifted program, and, find out some things about himself. He realizes everyone is gifted. Donovan saves the Academy from summer school. He even teaches lessons to the Academy kids, including how to be normal. Filled with laughs, IQ's and robots, I'd recommend this book to any friend who is feeling Ungifted. Librarian's Note: Gorden Korman visited our library last year. His books are great favorites here. Flush is a very good book with an interesting plot line that still informs its readers. Very similar to Hiaasen's other novel Hoot about saving owls, this is about saving nature, fish and the water. All the characters are very interesting, which adds to the story. Noah's dad has seen someone dumping the waste from a casino boat into the ocean. His sister, mother and friends all try to help him get some action taken. However, with no proof, this proves difficult. This book is extremely humorous about a very important topic. I really loved this book and although it is a young adult novel, I think 4th graders and older would appreciate it.